For other uses, see Sardar (disambiguation). King Amānullāh Khān conferred the title Sardar-i-Ala to those of exceptional service to the Crown. A plaque commemorating H.H. Sardar Ranoji Shinde Bahadur, Prince of Gwalior. The title of Sardar is used by the Maratha nobility of Gwalior State and as such is used by the most senior Mahratta nobles. Sardar (Persian: سردار‎, Persian pronunciation: [sær'dɑr]; "Commander" literally; "Headmaster"), also spelled as Sirdar, Sardaar, Shordar or Serdar, is a title of nobility that was originally used to denote princes, noblemen, and other aristocrats. It has also been used to denote a chief or leader of a tribe or group. It is used as a Persian synonym of the Arabic title Amir. The term and its cognates originate from Persian sardār (سردار) and have been historically used across Persia (Iran), Ottoman Empire and Turkey (as "Serdar"), Mesopotamia (now Iraq), Syria, South Asia (Pakistan, India, Afghanistan, Bangladesh and Nepal), the Caucasus, Central Asia, the Balkans and Egypt (as "Sirdar"). The term was widely used by Maratha nobility, who held important positions in various Maratha States of the imperial Maratha Empire. After the decline of feudalism, Sardar later indicated a Head of State, a Commander-in-chief, and an Army military rank. As a military rank, a Sardar typically marked the Commander-in-Chief or the highest-ranking military officer in an Army, akin to the modern Field Marshal, General of the Army or Chief of Army. The more administrative title Sirdar-Bahadur denoted a Governor-General or Chief Minister of a remote province, akin to a British Viceroy. In Himalayan mountaineering, a Sirdar is a local leader of the Sherpas. Among other duties, he records the heights reached by the individual Sherpas, which factors into their compensation. Sardar is also colloquially used to refer to adult male followers of Sikhism, as a disproportionate number of Sikhs have served in high-ranking positions within the Indian Army. Sometimes, it has also been used to describe Punjabi Muslims. Several princely states in British India have been ruled by a prince styled Sardar. For example, the Prince of Lahore used the title Sardar. Sardars of these princely states hold a primogeniture hereditary title, similar to British hereditary peers. The Kapurthala State, have been ruled by kings of state styled Sardar. For example, the king of Kapurthala used the title of Sardar. The early feudal Maratha Empire prior to Peshwa administration (1674–1749) used the title Sardar to identify an imperial court minister with military and diplomatic functions. If granted land (jagir), the title Sardar also marked a feudal superior responsible for administration, defense and taxing of the granted territory (equivalent to the European title Count, from the French comte meaning the "companion" or delegate to the Emperor that administered a county). These Sardars of the early Maratha Empire were life peers; the title was not hereditary. If the Sardar was appointed to Commander-in-Chief of all Maratha forces, the style Senapati was used in combination (e.g., Sardar Senapati or Sarsenapati Khanderao Yesajirao Dabhade. The title Senapati is a primogeniture hereditary title, as is evidenced by the current Senapati Shrimant Sardar Padmasenraje Dabhade of Talegaon Dabhade. In the Maratha Empire, the more administrative role of Sirdar-Bahadur denoted a Governor General or Chief Minister of a remote province; this best equates to a Mughal Subahdar or British Viceroy in function and rank. The title Sirdar was used by Englishmen to describe native noblemen in British India (e.g., Sirdars of the Deccan). In Baluchistan, the title Sardar marked the chief of his tribe. In the Royal Afghan Kingdom, the original Nishan-i-Sardari (Order of the Leader), founded by King Amanullah in 1923, was bestowed for exceptional service to the Crown by the Afghan monarch. Recipients enjoyed the titles of Sardar-i-Ala or Sardar-i-Ali before their names and also received grants of land. The original Order was disbanded in 1929, and was later revived by King Muhammad Zahir Shah. In addition, several important tribal leaders and chiefs in Afghanistan, were also designated as 'Sardars'. In Ottoman Turkey, Serdar was a rank in Montenegro and Serbia. Serdar was also used in the Principality of Montenegro and the Principality of Serbia as a honorary "title" below that of Vojvoda. 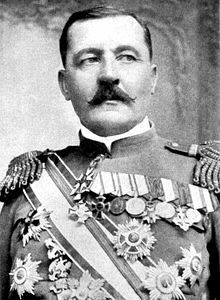 For example, Janko Vukotić who was a military leader and former prime minister of Montenegro with title of Serdar. However, this were not noble titles as there was no nobility in Serbia and Montenegro and no hereditary titles apart from those borne by members of the reigning families of both countries. In Persia, Sardar-i-Bozorg was the title of both Hossein Khan Sardar and his brother Hasan Khan Qajar. Both were uncles of Agha Khan Qajar, the King-Emperor of Persia and the Commander-in-chief under Emperor Fat′h-Ali Shah Qajar in the Russo-Persian Wars of 1804 and 1826. In the small district of Sudhanoti, Kashmir, Sardar is used by the hybrid Sudhan tribe to refer to their putative part-descent from the Sadduzai clan of King Ahmad Shah Durrani. Also, Poonch families in this region use Sardar at the beginning of their names. Similarly Sardar is used by Khattar tribe noble men, native to the districts of Attock and adjacent areas of Rawalpindi. Sardar was used for important political, tribal, military and religious officers rankings by the Sikhs during the period of Maharaja Ranjit Singh. In the Hazara Division of Pakistan, the word Sardar is used by the Karlal tribe before their names, traditionally, to stress their upper-caste status, e.g., Sardar Muhammad Aslam, Sardar Haider Zaman etc. Similarly, Gujjar from the Hazara Division also use Sardar as their surname denoting their ancient royalty of the region, e.g., Sardar Muhammad Yousaf, Sardar Fakhr-e-Alam, Air Marshal (R) Sardar Asif Khattana, Lt. Gen. (R) Sardar Khalid Khattana and Sardar Said Ghulam Gujjar are the few names in this. Vallabhbhai Patel, the first Deputy Prime Minister of India was referred to as Sardar Patel; he is also now known as the "Iron Man of India". Sadar-i-Riyasat was the title of one Constitutional Head of State of the princely state of Kashmir, Yuvaraj Shri Karan Singhji Bahadur, who was appointed as Heir Apparent in 1931. After his father had acceded to India, ending the sovereign Monarchy, Regent in 1949 to 1956. Sardar-i-Riyasat 1956 to 1965 (succeeded on the death of his father as Maharaja of Jammu and Kashmir, 1961, no longer carrying any hereditary power), next Governor of the Indian constitutive State of Jammu and Kashmir 1965 to 1967. 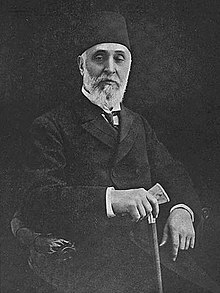 In Persian, Sardar i-Azam was occasionally used as an alternative title for the Shahanshah's Head of government, normally styled Vazir i-Azam, notably in 1904-06 for a Qajar prince, HRH, the Prince Major General Abdol Majid Mirza. The later Maratha Empire under Peshwa administration (1749–1818) used the title Sardar to denote a Field Marshal or General of the Army. Sirdar was the official title of the British Commander-in-Chief of the Anglo-Egyptian army. The title Serdar is also common amongst Ottomans in referring to a Commander-in-Chief. The Serbs adopted this usage from the Ottomans (e.g. Serdar Janko Vukotić). In Turkish, Serdar or Serdar-i-Ekrem was the title of the Commander-in-Chief in several military operations throughout the Ottoman Empire history. In Afghanistan, Sardar-i-Salar meant Field Marshal or General of the Army. In Himalayan mountaineering, a Sirdar is the local leader of the Sherpas and porters. Among other duties, he records the heights reached by individual Sherpas, which dictates the amounts the Sherpas will be paid. HMS Sirdar was a World War II Royal Navy submarine. "Siridar" is a title of planetary rulers in Frank Herbert's Dune. The Padishah Emperor's elite troops are also called the Sardaukar. Sardar is also colloquially used to refer to adult male followers of the religion of Sikhism, as a disproportionate number of Sikhs have honorably served in many high-ranking positions within the Indian Army. Notable examples include Generals Joginder Jaswant Singh and Harbaksh Singh. ^ "Jackie Kennedy receives horse from governor of Pakistan - Mar 23, 1962 - HISTORY.com". history.com. Archived from the original on 2016-03-17. ^ "gwalior". www.royalark.net. Archived from the original on 2016-05-16. ^ "SIRDAR, or SARDAR (Per... - Online Information article about SIRDAR, or SARDAR (Per..." encyclopedia.jrank.org. Archived from the original on 2012-12-25. ^ Sayre, Woodrow Wilson (1964). Four Against Everest. Englewood Cliffs, NJ, USA: Prentice-Hall. p. 223. Library of Congress Catalog Card No: 64-15208. ^ "Royal Kapurthala Dynasty History". ^ Chisholm, Hugh, ed. (1911). "Sirdar" . Encyclopædia Britannica. 25 (11th ed.). Cambridge University Press. p. 154. This page was last edited on 14 March 2019, at 00:27 (UTC).